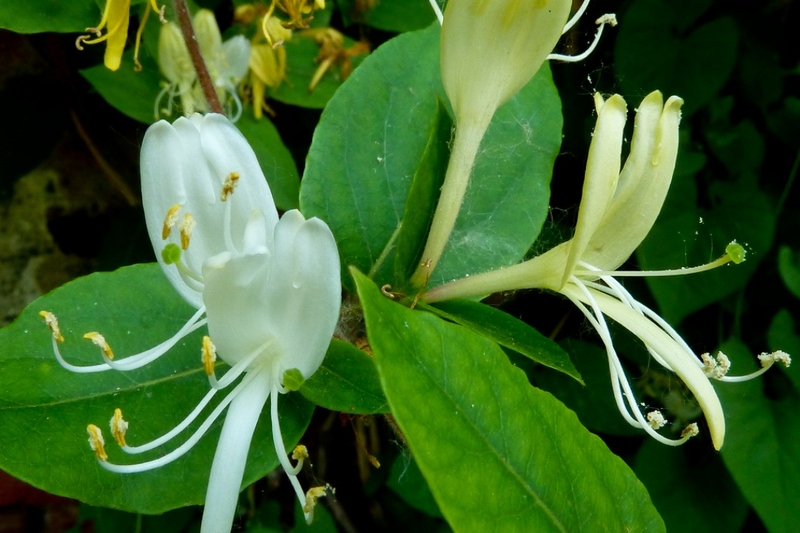 Perfoliate Honeysuckle (Lonicera caprifolium): growing, planting, caring. 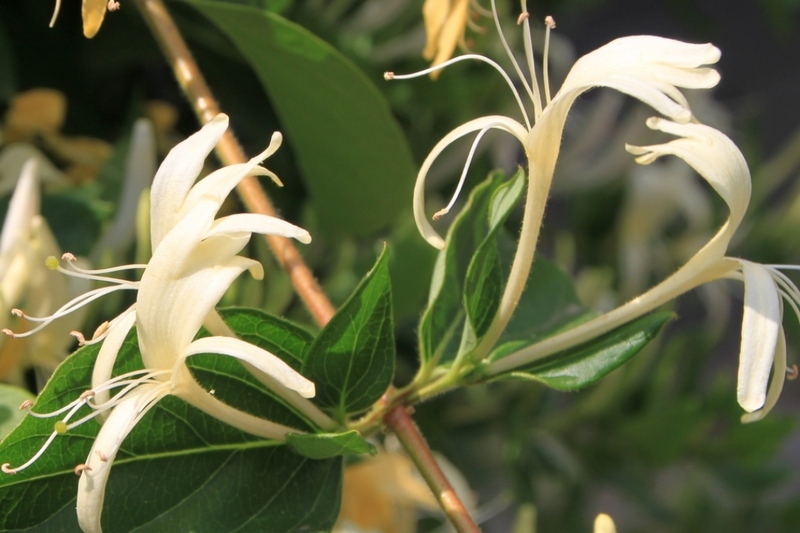 A species of climbing honeysuckle, with cream flowers. 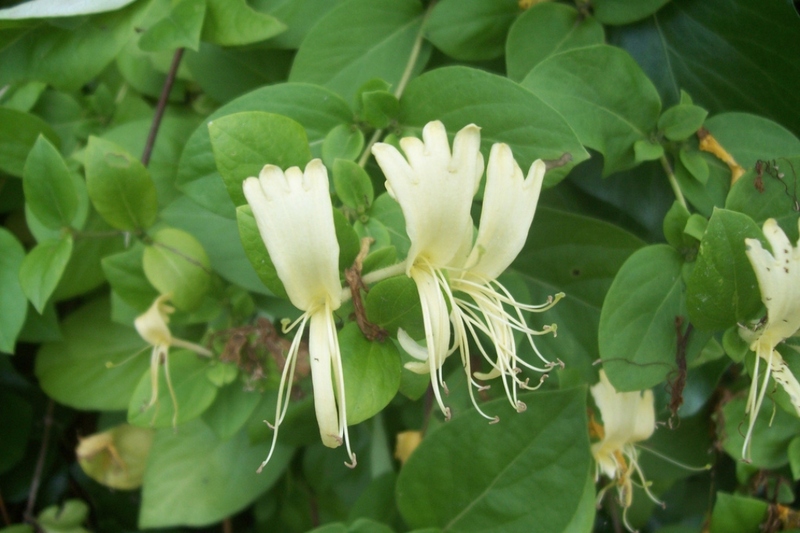 A vigorous, deciduous climber growing up to 8 metres, with its topmost leaves perfoliate as the Latin name suggests - that is, the stem appears to grow through the centre of the leaf - and very fragrant, cream-coloured flowers, tinged with pink, appearing in midsummer.